Paul Oakenfold is back with a double CD of 25 exclusive tracks which focus on the classic Oakey sound. This new album is being released following the Perfecto residency at Rain Nightclub, the legendary 25,000 square-foot nightclub and concert venue which is the only place in America that can legally hold parties 24/7. Oakenfold describes Vegas as "The new Ibiza of America. It used to be somewhere families went but now it's the playground for party goers who come for a long weekend. It's been so good I've just renewed my residency for another year and play most Saturdays. I did have options for residencies in New York, Miami, and LA but for me Vegas is the future." 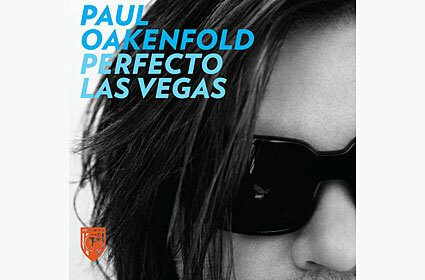 The tracks on Perfecto Las Vegas have been hand picked and mixed by Oakenfold and see a return to his trance roots but heavily influenced by the Vegas experience. The compilation includes his new track Buenos Aires, Robert Vadney - Away From You, and Adam White's Perfecto remix of Nat Monday's Flammable. There will be a 12 date UK tour to celebrate the release of Perfecto Las Vegas and look forward to Oakenfold's new artist album Pop Killer to be released in 2010.